This gorgeous boathouse is a product of Hutker Architects, one of our favorite architecture firms. 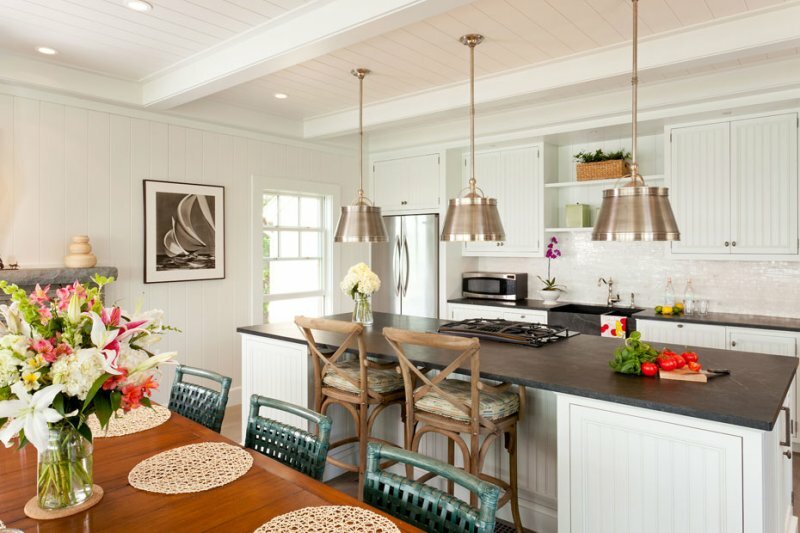 Based out of Martha's Vineyard, Cape Cod and Nantucket, Hutker is a full service architecture and interior design firm, that just so happens to incorporate all that we love about coastal homes. 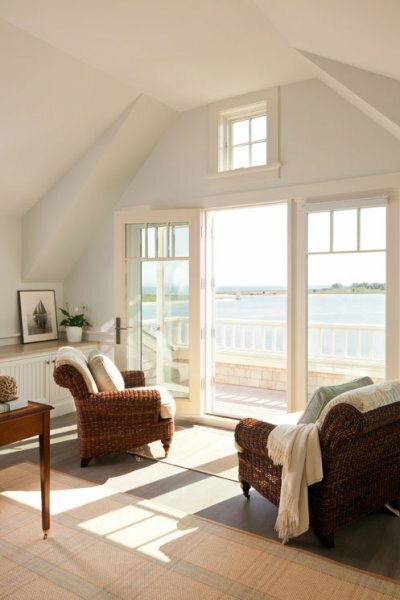 This Green Harbor Boathouse, located in Falmouth, MA, especially caught our eye with crisp interior designs and breathtaking views. The classic cedar shake siding with white trim keeps that original Nantucket style, while incorporating stone perfect for a cape cod home. The open hallway allowing the beautiful view to be seen from the front of the house is a unique aspect not often used. Nothing beats this view! 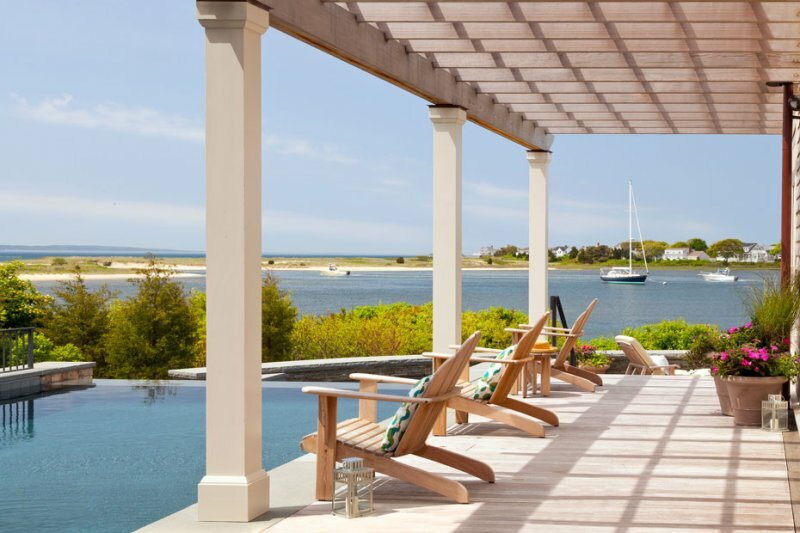 These adirondack chairs incorporated into the breathtaking view and the seemingly endless infinity pool create a prefect setting for relaxation and simple living. Really, what can be better? The neutral wooden colors and large glass sliding doors, keep the attention on the beautiful surroundings. The greenery and overgrown wildlife creates an amazing natural, untamed look perfect for a spot on the water. Windows galore! Hutker does an amazing job at capturing the perfect boathouse feel by making the view the main focus of the house. White walls in the kitchen with slate countertops and wooden driftwood counter stools bring in variety and shows off the homeowners personality, while the stainless steel lighting gives off the perfect environment for cooking and entertaining. The light green and blues are so surreal in this living room, generating a spa-esque environment. The brown wicker adds contrast from the endless white and pastels. This spot is perfect for reading and taking in that saltwater scent! Our favorite bathroom! The sea-foam colors and the old fashioned bathtub, everything about it leaves us in awe!